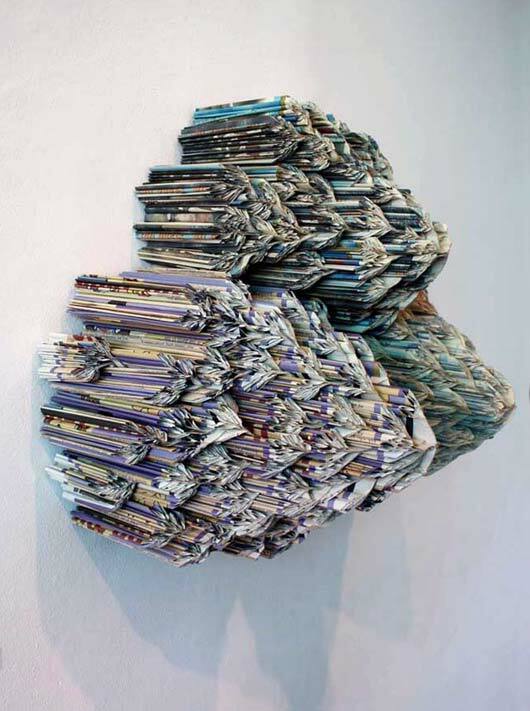 I came across Jaime Bennati‘s work just recently and fell head over heels with this particular one made of paper (of course)! 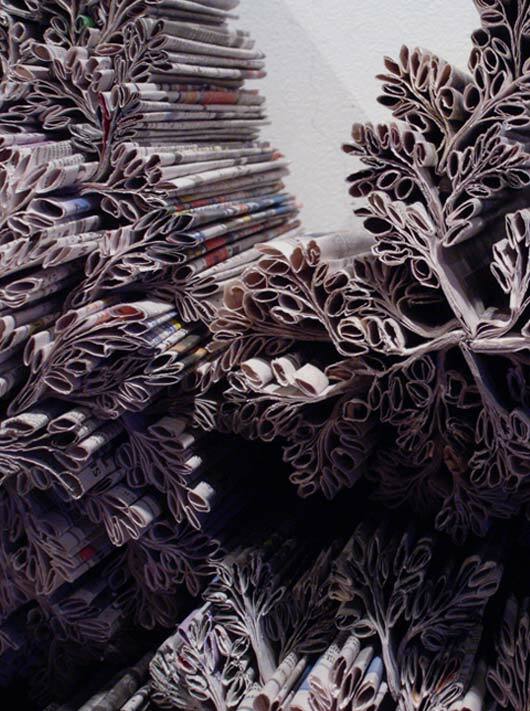 The idea came to her when she discovered a huge stack of old newsprint in an abandoned building one day (that has since been torn down) and decided to take it to use as the main medium for her art. Her inspiration she says, comes from nature. And part of her creative process involves spending time in parks and natural environments observing light and shade and their interaction with the natural environment. 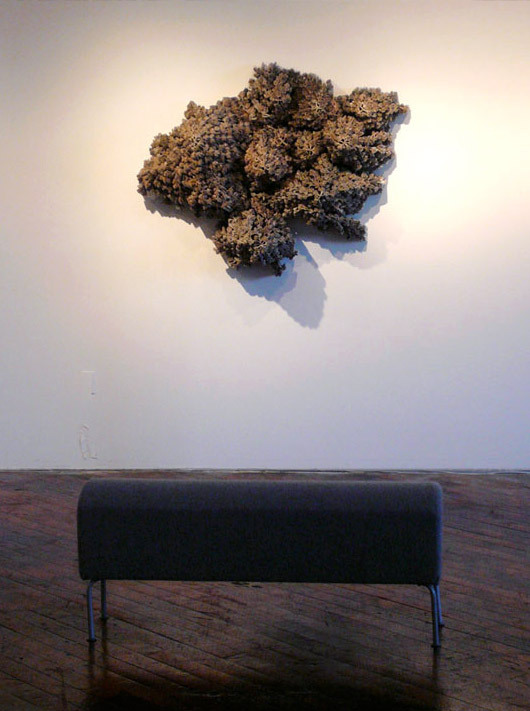 Above: Wanderless, 2010. As with nature this sculpture changes over time. A year between shows and you can see the natural yellowing of the paper (pictured below) also the softening of the material. 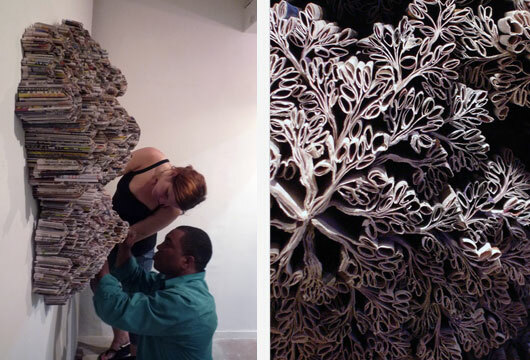 This Jaime says is the reason she chose to use a natural material such as paper to make her sculpture. 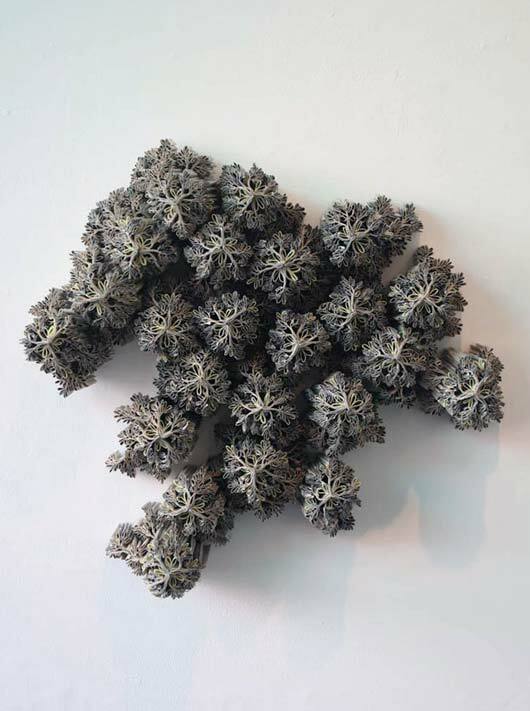 She sees her work as a living organism that ages and changes with time. This particular work is currently on show until May 5 at Galeria PEÇAÚNICA – Rua Visconde de Pirajá, 111 – Ipanema, Rio de Janeiro, Brazil.